This month, the average rating is 6.42/10, and the film of the month is Metropolitan. Also, the number of films that feature at least one of the Culkin brothers: 4. Follow @halfacanyon for more. Morgan Freeman admits he took part in this flimsy indie flick to fight against his image of someone heavy with gravitas. He succeeds – I now view him as the man who wasted 80 minutes of my life. Finally, a film about an adult swimming class…? Well, it’s not too bad, actually. For 90 minutes, the viewer is invited into the various lives of miserable loners who can’t swim. These include a divorced teacher and a depressed stripper, who not only have to find a reason to wake up each day, but somehow master front crawl. There are moments of comedy, such as a woman who can swim very well and joins the class to improve her self-esteem, but moments of non-comedy – there’s clearly a theme when a film centres on adults trying to correct a lifetime struggle with swimming. The drama is played out in a simple fashion, but engages to the extent that I genuinely wanted them to be able to swim. This charming coming-of-age story combines the drama of early friendships, first love and the tribulations of stealing a tiger from a local zoo. This is one to watch and rekindle fond memories of that trip to laser quest, followed by McDonalds with that girl down the road, and explaining to the parents down the road why you saved a Big Mac instead of their daughter from being eaten by a tiger. The first Al Pacino film I ever saw was S1mone, a film so ridiculous that I ended up watching it three times – an equally ridiculous response. I saw The Godfather so long ago that I can barely remember it, much like many people’s experiences with their real godfather. 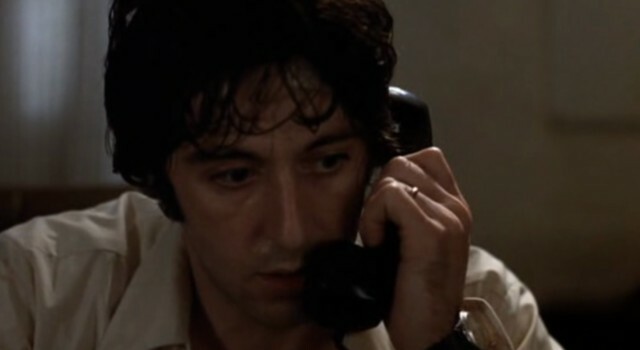 So Pacino’s performance in Dog Day Afternoon impressed me even more. His nervous energy reveals glimpses of vulnerable aggression; even the way he walks is captivating. I’m always interested in protagonists who can’t hear their footsteps because they think that they’re a dead man walking. Let’s go down into the valley, a place where Ed Norton thinks he’s a cowboy. He talks of droll, green pastures – time freezes, with MOR country in the background. Wood asks Culkin, her younger brother, “Will you be okay here on your own?” This reference to Home Alone is unintentional, but you have to make your own entertainment with Down in the Valley. I’ve read all of the books, the last few on the days they were published. I’ve also seen the first four films. But it’s been a long time and I had no idea what was going on. In the opening scene, Voldemort insists that if he is too kill Harry Potter, then he must do so with Draco Malfoy’s wand. Huh? He tortures someone. I think it’s Bellatrix, but I can’t remember who Bellatrix is. Great name, though. Then Harry Potter goes to a house with the familiar faces and some not so familiar (including a man taking a break from protecting the prime minister). Huh? Luckily, some over-handed exposition from Ron brought me faintly back on track. The Deathly Hallows proved to be more frightening than The Exorcist. I’ve also been out of the loop with the film adaptations, and they have really changed since the Chris Columbus days – I can’t wait to see how they turn the epilogue into a dystopian nightmare. – Ron is given a deluminator – ‘when things seem most dark, it will show you the light’. A light-emitting diode? – Hermione gets a copy of The Tales of Something the Something – a book from his home library. – Harry receives a snitch from his first quidditch match, and a sword that, for some wizardry reason, will never belong to him. In short, Dumbledore, dead or alive, is the worst present giver in history. Also, isn’t it great that Ron’s greatest fear is Harry Potter fan-fiction? The simple plot of Imagine Me and You is this: a heterosexual couple get married, but the wife discovers she’s a lesbian when she falls in love with the woman who arranged the flowers for the wedding. Apart from the lesbian twist, this is the same substandard romcom that you’ve seen too many times and are probably fed up of. It has all of the regular clichés, such as a young child who is miraculously a relationship expert, dishing out advice to the protagonists, and a final chase through the streets to declare love. Upon further research, I discovered the screenwriter admitted he originally wrote the affair as being between a man and a woman, but changed it when he realised how predictable the script felt. I have nothing else to add but admiration for his honesty. 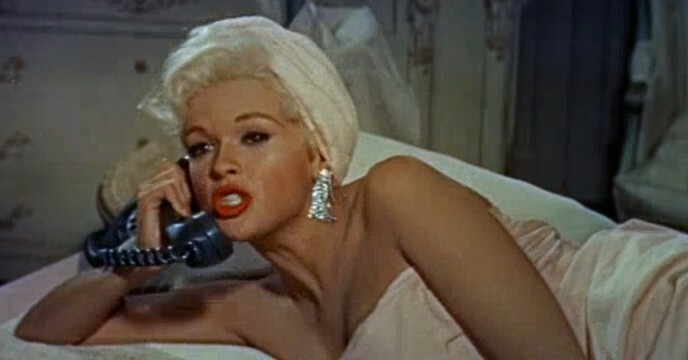 Oh, and the film falls apart if you spot the flaw that most mobile phones have caller ID. 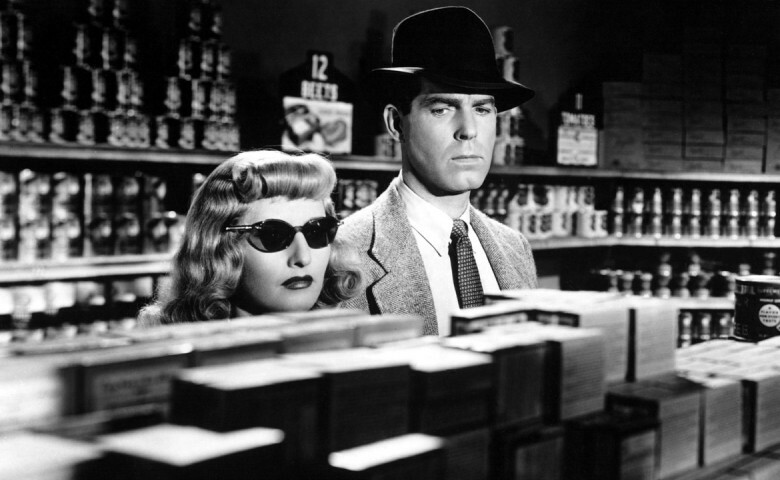 Stanwyck, a con-woman, convinces Fonda she’s two different people. He falls in love with both. He explains to a friend that can’t be the same person because they look too alike. The fact they use the same perfume is a coincidence. The central relationship has such chemistry that a simple stroke of the hair twenty minutes into the film makes a mockery of the alleged sparks of It Happened One Night. Lymelife is like trying to remember Long Island in the 1970s, but if you’ve never been there and aren’t old enough to remember the era. Stillman’s debut, Metropolitan, is also the first of a trilogy of films he nicknames “Doomed. Bourgeois. In love.” The ‘action’ takes place at Princeton; Tom Townsend is a socialist accidentally spending an evening in the company of upper-class socialites who call themselves SFRP (The Sally Fowler Rat Pack). Despite finding them hypocritical, snobbish and obnoxious, he can’t stay away. Through his eyes, the viewer joins the lives of the urban haute Bourgeoisie as they meet every night to discuss class and politics. We gradually learn each character’s quirks and life ambitions through group conversations. At first, the dialogue is a bit too much to handle – the wordiness and self-righteous tone – but, like Tom, you absorb the language through diffusion. (Not osmosis – scientifically, that only works for water.) This is all helped by the film’s perfect pacing that always picks the exact point to change the scene, rather like how I’m about to change paragraph right now. And these arguments about Jane Austen are with Audrey, a shy Austenite who is Metropolitan’s diamond – a socialite who admits that she doesn’t know anyone outside of the SFRP, but feels lost within the group. Audrey is expertly played by Carolyn Farina, an actress with no prior acting experience, who was discovered working in a perfume store by Whit Stillman’s wife. If her nervousness about entering an intimidating environment of filmmaking created her believable performance as a lost figure in an elegant wasteland, then so be it. Self-mocking, engaging and surprisingly emotional, here’s a Christmas film worth rewatching. In this set of reviews, I’ve already sung the praises of Rory and Kieran Culkan in The Dangerous Lives of Altar Boys, Down in the Valley and Lymelife. Now it’s the turn of Macaulay. 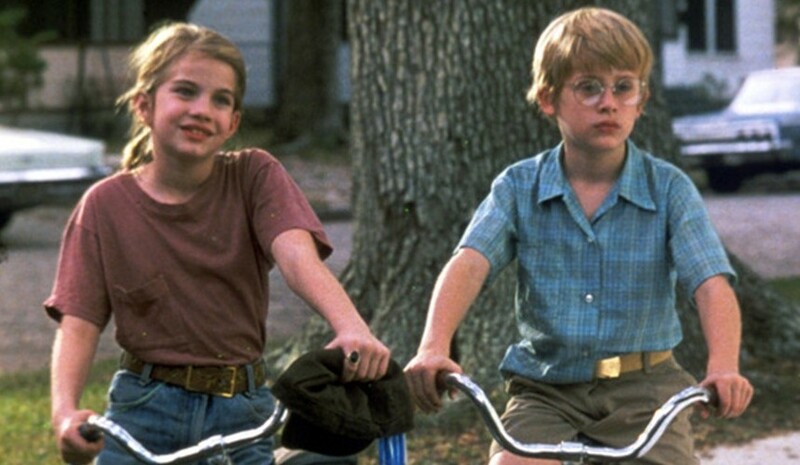 Anna Chlumsky portrays Vada, the Girl, who is only eleven years old but obsessed with death – her father is a mortician and she’s at the age where you start listening to Nirvana. Well, the film’s in 1991, so it’s possible. I spent a lot of the time being preoccupied by the knowledge that there is a My Girl 2. I kept wondering: how do they stretch this out for two films? My guess is she reaches the age where you realise Nirvana are terrible. Back in the 1930s, America was apparently not so fun. The Great Depression took place, possibly because Disneyland and MP3 players hadn’t been invented yet. 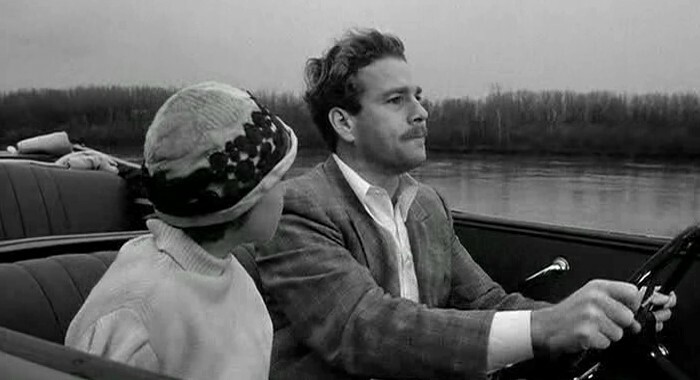 Peter Bogdanovich takes a poetic look at this era through a compelling road trip from Kansas to Missouri. Ryan O’Neal plays Moses, a bible-selling conman who reluctantly provides a lift to Addie, a young girl who is possibly his daughter. Their escapades on the road involve various money-making schemes and arguments, but they grow fond of each other, whilst 1930s America fades into its black-and-white wasteland in the background, swirling frustration and broken eyelashes. I would call She’s Out of My League a good plane film. It made me feel like I was on a plane. So even when the film wasn’t going anywhere, at least it made me feel that I was. I don’t know where the destination is, but the last line of the film (“Do you think she’s still not wearing any underwear?”) reminds me that I’m travelling on Ryanair. Every scene glistens in a snowy wonderland. Stay Cool is like a collection of deleted scenes from several bad films, connected by a bland character who I can’t remember anything about. 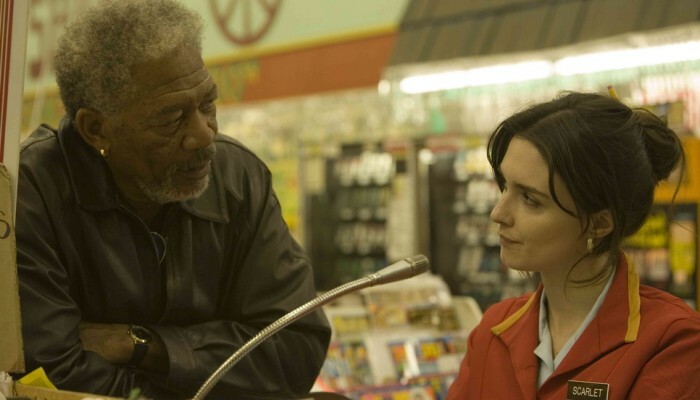 It’s been a decade since Winona Ryder was in a decent film – it could be another decade. In Will Success Spoil Rock Hunter? the scenes are so short that you wonder if the film is mocking the audience. And then it stops so that the lead actor can speak directly into the camera, openly insulting the audience for their short attention span. There is a Beck b-side that includes the line: “Your brother is a waitress.” I don’t know how true this is, but your brother would probably enjoy Will Success Spoil Rock Hunter? Follow @halfacanyon for more. Unollow @halfacanyon for less. This entry was posted in Film review and tagged Alexander Payne, Billy Wilder, Brad Silberling, David Jacobson, David Yates, Derick Martini, Frank Tashlin, Howard Zieff, Ishai Setton, Jim Field Smith, Ol Parker, Peter Bogdanovich, Peter Care, Preston Sturges, Ridley Scott, Sidney Lumet, Ted Smith, Whit Stillman. Bookmark the permalink.